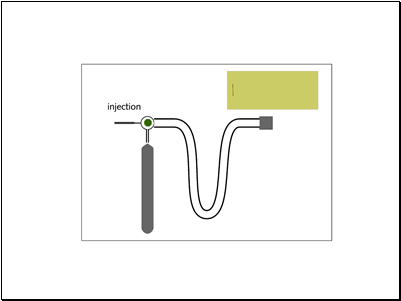 Is a technique used to separate and identify the components of a mixture. 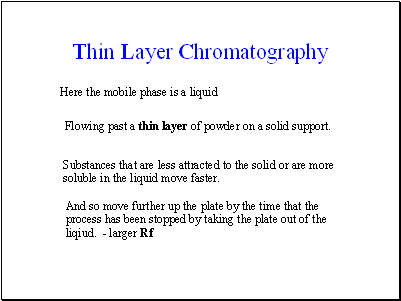 Works by allowing the molecules present in the mixture to distribute themselves between a stationary and a mobile medium. 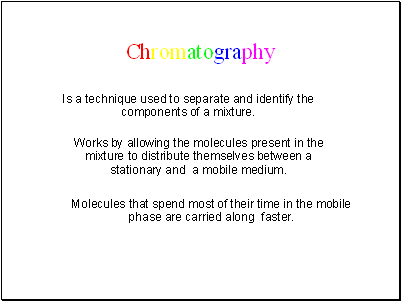 Molecules that spend most of their time in the mobile phase are carried along faster. 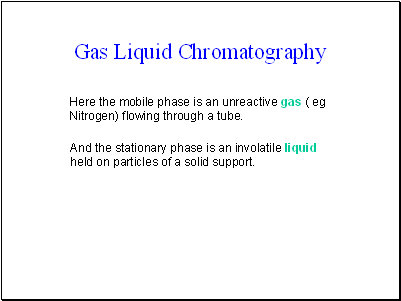 Here the mobile phase is an unreactive gas ( eg Nitrogen) flowing through a tube. And the stationary phase is an involatile liquid held on particles of a solid support. 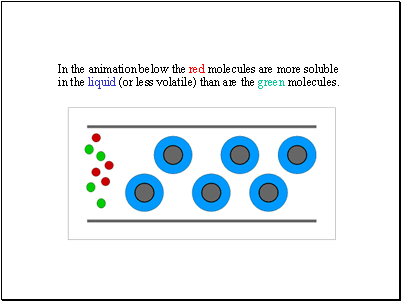 In the animation below the red molecules are more soluble in the liquid (or less volatile) than are the green molecules. 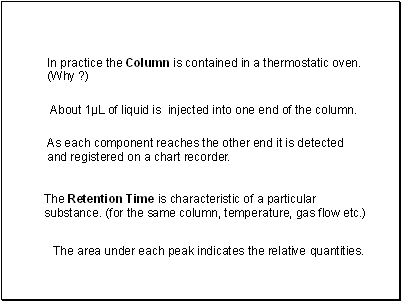 About 1μL of liquid is injected into one end of the column. 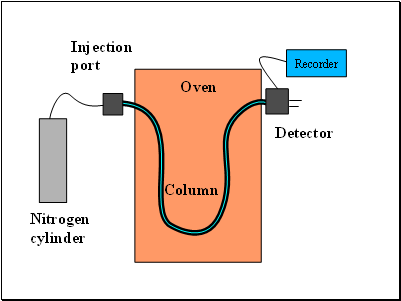 As each component reaches the other end it is detected and registered on a chart recorder. The area under each peak indicates the relative quantities. 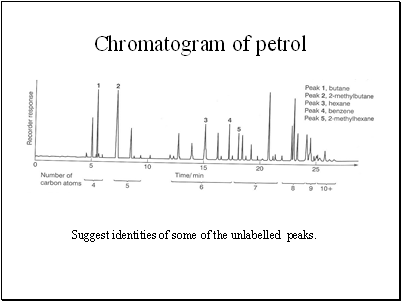 Suggest identities of some of the unlabelled peaks. 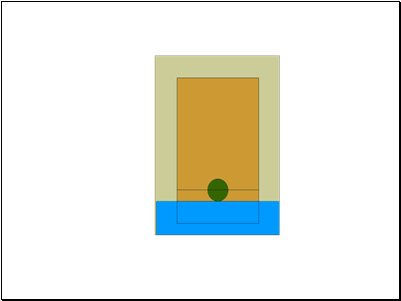 Flowing past a thin layer of powder on a solid support. 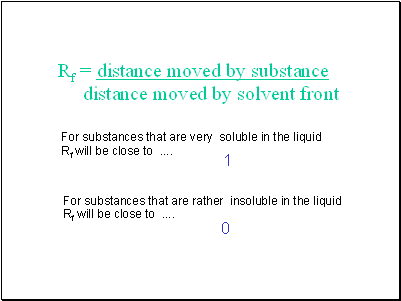 Substances that are less attracted to the solid or are more soluble in the liquid move faster.